Working with lead architects Brad Zizmor and Dag Folger, the team spent more than 13 months thinking about and executing the designs for Squarespace&apos;s offices in Portland, Ore., Dublin, Ireland and New York. The architects held one-on-one meetings with employees, hosted group research sessions and workshops, conducted digital surveys and spent hours observing workers to uncover what the teams wanted in their work environments. 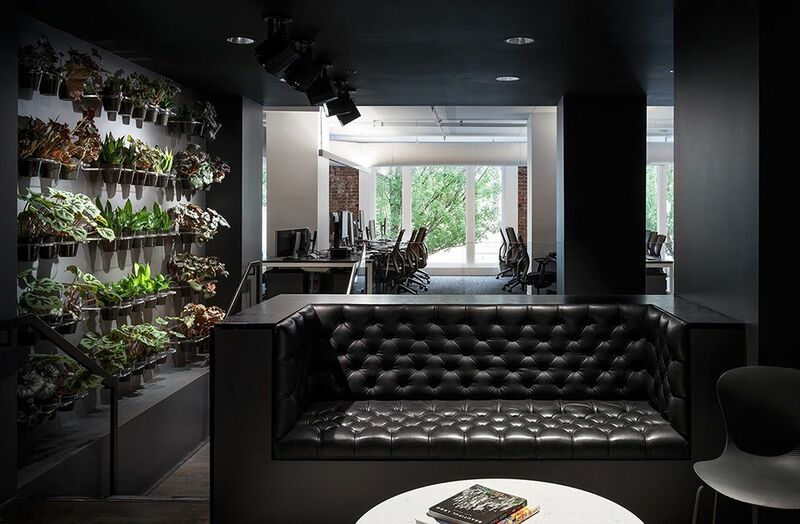 The black entrance of Squarespace&apos;s New York office looks simple, yet it is meticulously detailed. A lack of vivid color on the outer entryway symbolizes the elegance and effortlessness that the company strives to convey with its product. There is only one small sign reading “Squarespace” on the entire premises -- Casalena wanted the design to speak for itself. Just as Squarespace websites are framed to show off clients&apos; products, the company and Casalena hoped to express simplicity, minimalism and elegance through the space and highlight the “products” within the office -- the employees and their ideas.